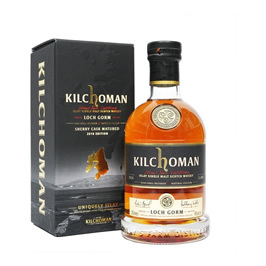 Just arrived here at Whisky Boys HQ a wee sample of the new 2019 Loch Gorm from Kilchoman. 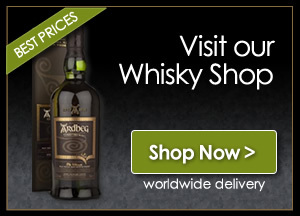 Loch Gorm is a yearly release of sherry cask maturation. This special edition is the sole expression in the Kilchoman range to be fully matured in sherry casks. Limited to only 15000 bottles and includes oloroso sherry butts from 2006, 2007, 2008, 2009,and 2011 so for the first time this Loch Gorm contains 12/13 year old casks. Let’s now have a taste. Nose…A citric burst to start with, ocean sea spray on rocks, a wee hint of meatiness, oak spice, smoked mussels. Taste…Stewed soft fruits, sea water saltiness, red berries and a drizzle of honey, heathery herbal notes, venison sausages,damp white pepper mixed with coal dust, heather moor after a fire. Finish…Sweet and quite fruity, getting a touch of dark chocolate, more oak spice,a pleasant heat on the finish. Well done all at Kilchoman this is quite a triumph, priced at around the £70.00 mark, it is not too dear, this is one to have in the Whisky Boys cabinet.